Building a more health conscious burger begins with selecting a smart protein. You always want to buy the best meat that you can afford. Ideally, choose grass-fed or organic selections, but if it’s not economical, you can still make better choices for yourself and your family. Ditch the processed fast-food burgers and buy some at your local grocery haunt. Choose the leanest cut of sirloin available. In addition, you can experiment with leaner meats, such as bison and turkey breast. You can also sample vegetarian options, such as black bean, soy or portabella mushroom burgers. Create your own patty and veg it up. 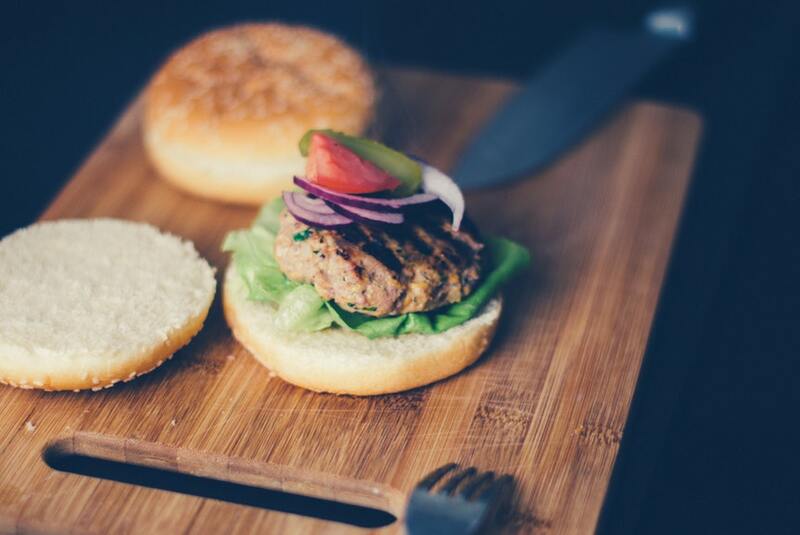 Making burgers from scratch is simple even for the novice chef. Select your protein and experiment by adding your favorite vegetable and herb combinations. For instance, you can simply sauté some minced onion, garlic and parsley in olive oil then add the mix to a pound of meat (salt and pepper to taste) and shape it into four patties. A dash of pesto with some sautéed mushrooms, sundried tomatoes and spinach is also a crowd-pleasing combination or simply dice up some tri-colored bell peppers for a Vitamin C boost. Choose green toppings. Instead of iceberg lettuce top your burgers with more nutritious spinach, arugula, sprouts or mixed greens. Experiment with tomato and onion combinations, like heirloom tomatoes with sweet yellow onions. You can add pickles, cucumbers, avocados or sauerkraut for a pro-biotic boost. There are lots of wonderful mustard combinations on the market, as well as pesto and salsa. If you’re going to do ketchup choose a brand with no high-fructose corn syrup. Further, use less processed cheese, like mozzarella, feta or Jarlsburg light. Don’t overdo the bun. As appealing as the white bakery bun that you can’t put into your mouth may be, it is full of hundreds of empty calories. Instead, strive for a whole-grain or sprouted-grain option. Another great selection is a whole-grain English muffin. You can also skip the bun entirely and wrap your burger in lettuce. Select skinny sides. Instead of the traditional fries and potato chips, choose a side salad. Veggie sticks are also a crunchy alternative. If you’re craving potatoes, bake them yourself. Simply peel and cut three baking potatoes into 8 wedges, add your personal seasoning selection and bake at 400 degrees for 40 minutes, turning once.